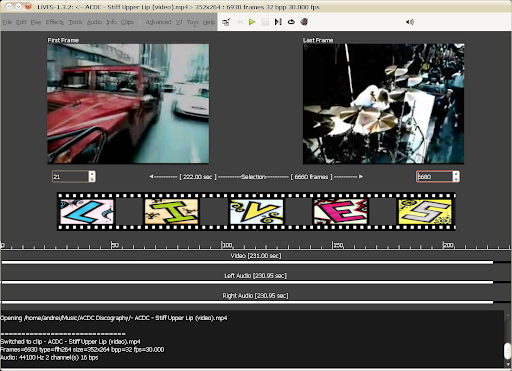 LiVES is a non-linear Linux video editor. It comes with dozens of effects, a clip editor which you cna use to trim and edit your clips and then merge them into a video using the multitrack timeline. You can even use LiVES to record your performance in real time, and then edit it further or render it straight away. A complete list of features can be found @ LiVES sourceforge page. Even though it's an amazing application, LiVES only got 5% of the votes in our "Best Linux Video Editor" poll. In a comment, I suggested that LiVES creates a PPA for Ubuntu users to be able to easily update to the latest version.